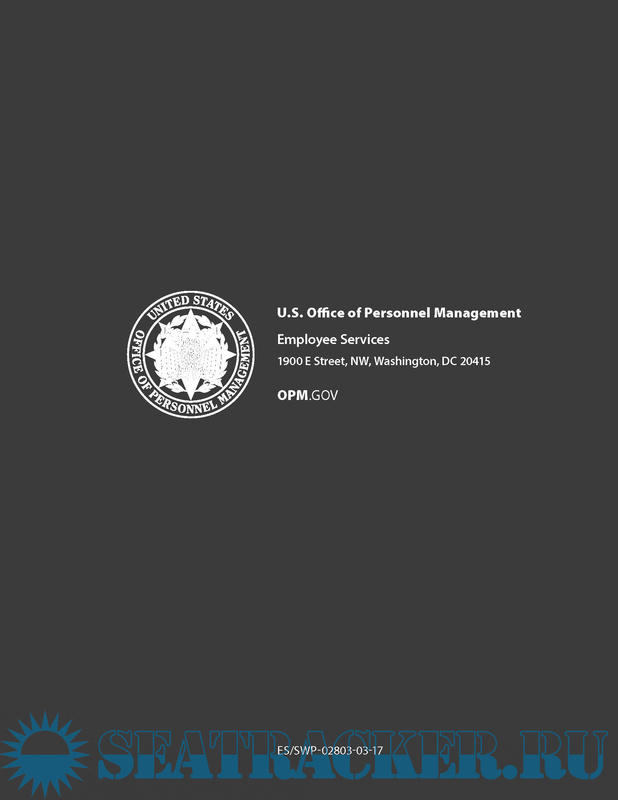 Description: This handbook is designed for Federal supervisors and employees and presents an eight-step process for developing employee per¬formance plans that are aligned with and support organizational goals. 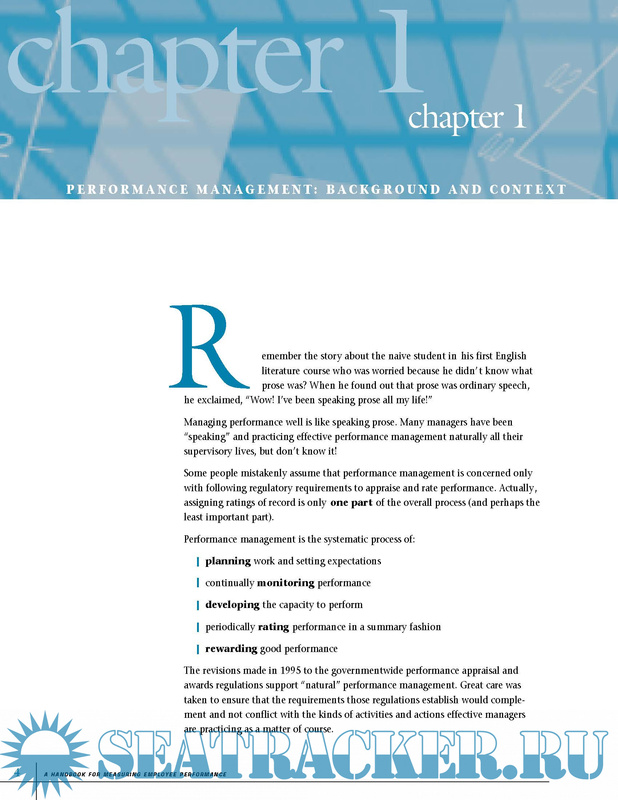 It also provides guidelines for writing performance elements and standards that not only meet regulatory requirements, but also maximize the capability that performance plans have for focusing employee efforts on achieving organizational and group goals. The methods presented here are designed to develop elements and standards that mea¬sure employee and work unit accomplishments rather than to develop other measures that are often used in appraising performance, such as measuring behaviors or competencies. 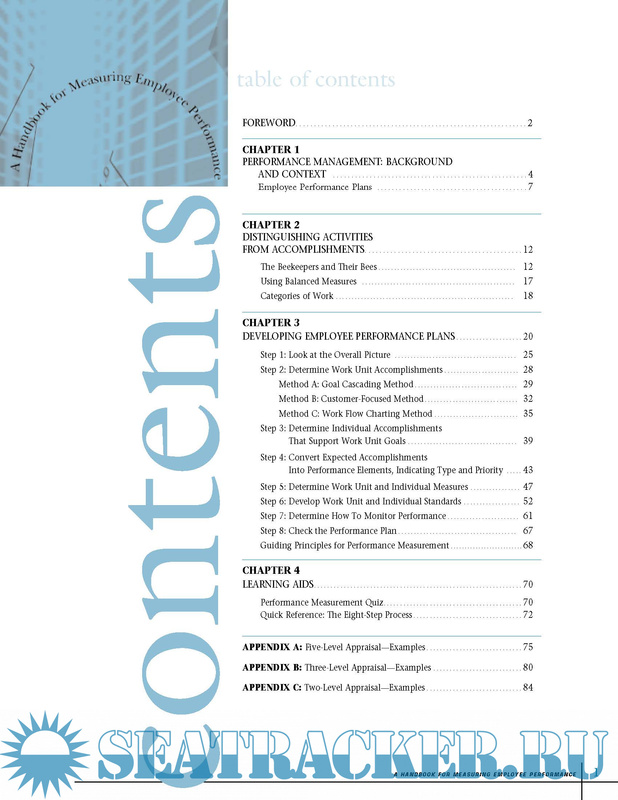 Although this handbook includes a discussion of the importance of balancing measures, the main focus presented here is to measure accomplishments. 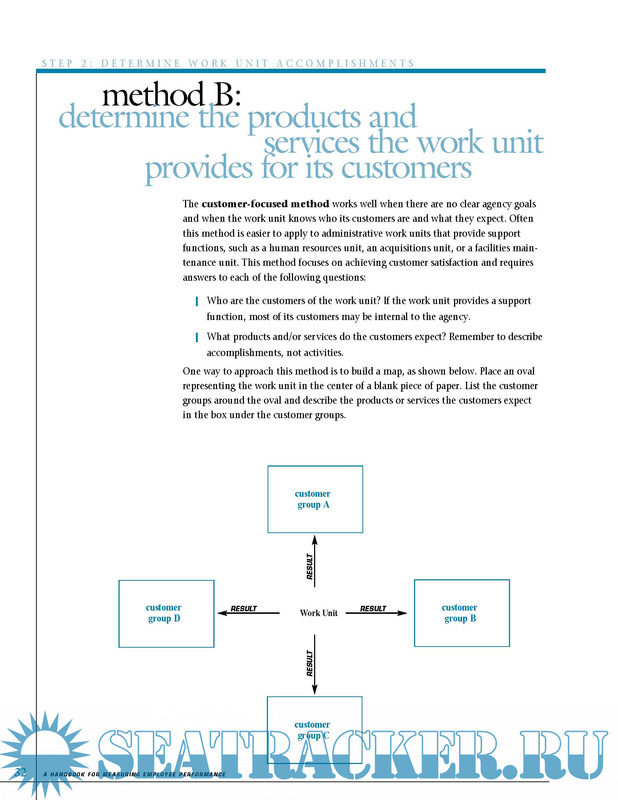 Consequently, much of the information presented in the first five steps of this eight-step process applies when supervisors and employees want to measure results. 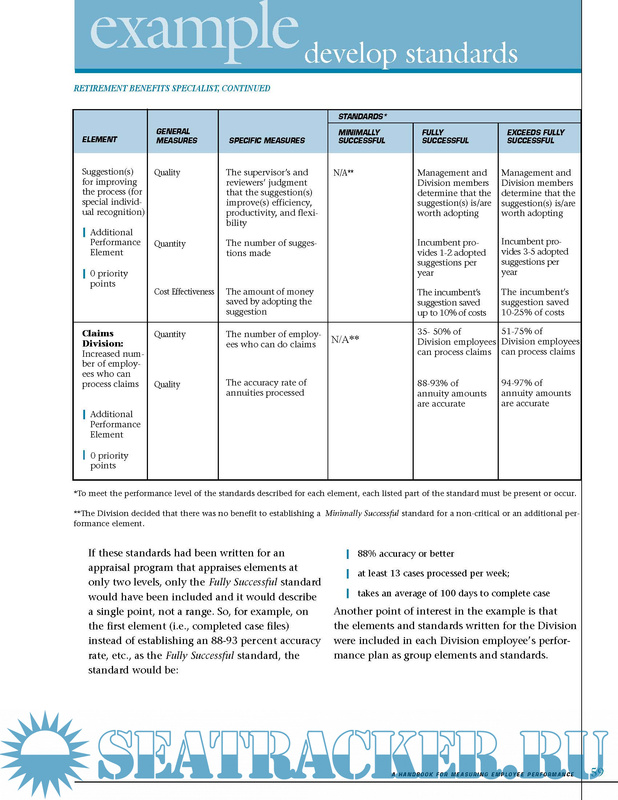 However, the material presented in Steps 6 through 8 about developing standards, monitoring performance, and checking the performance plan apply to all measurement approaches.